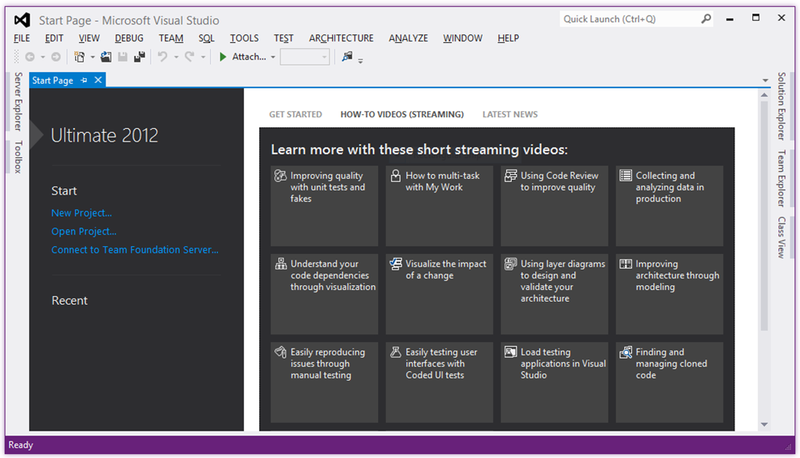 Visual Studio 2012 Completed! Launches Sept 12! Today Microsoft signed off on the final version of Visual Studio 2012 and the .NET Framework 4.5. In a blog post on the official Visual Studio blog, Microsoft said Visual Studio 2012 will be made available to MSDN subscriptions on August 15 and that it comes with a free one year developer account for the Windows Store in Windows 8. 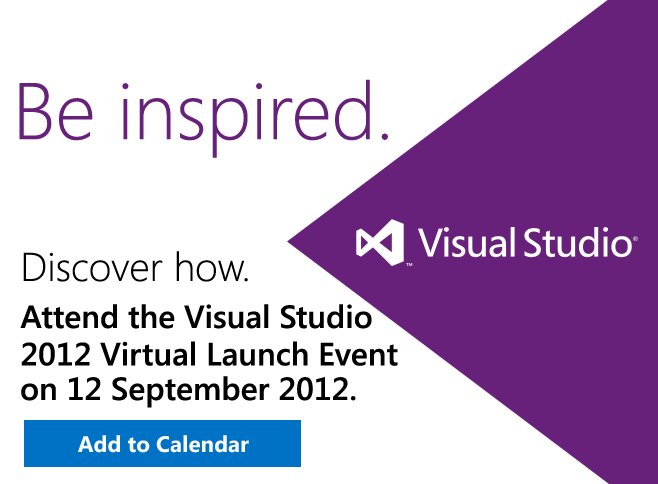 Microsoft plans to launch Visual Studio 2012 in a virtual event on September 12. Details are to come, so mark your calendars and check the website for further details. Here is a sample screenshot of the final build of Visual Studio 2012. Notice that the menu bar text is still in uppercase. I read somewhere that there is supposed to be an option to configure this and use mixed case instead. Either way I’m happy. I firmly believe in the Metro design, so will be leaving it as is. I may however use the dark theme. I’m looking forward to getting the bits on August 15th and turning my ideas into software.